Yellow is sharing. 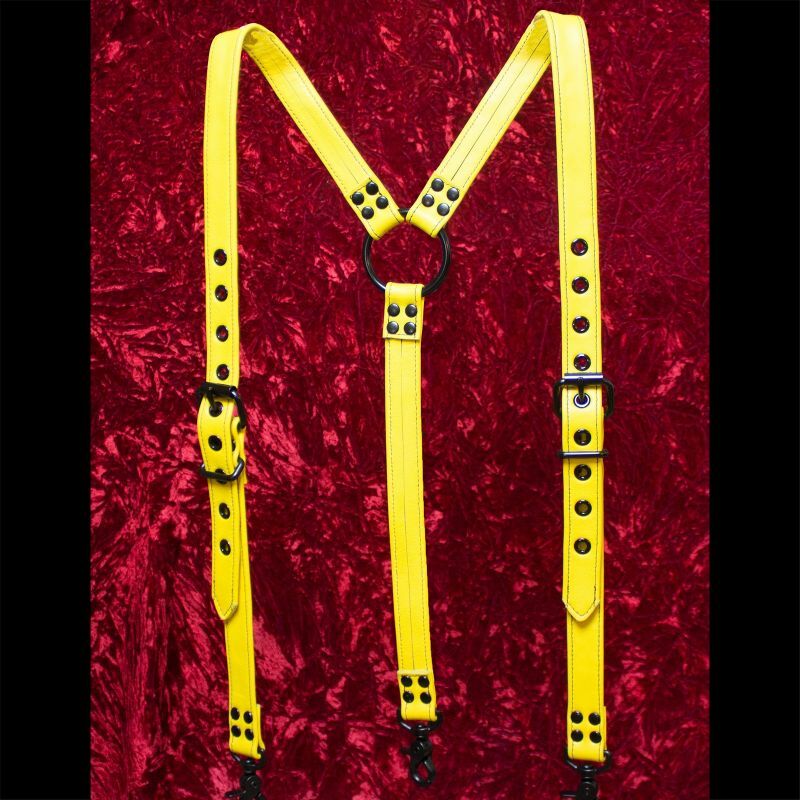 Yellow suspenders not only pop in a crowd, they are for people who like to spread it around. Made with quality full grain leather and black metal hardware, these suspenders will give you the moxy to schmooze with the best. These are made in the same fashion as our classic leather suspenders, which means they are traditional in styling and very comfortable to wear. The straps have rounded edges that feel good when you hold them, and show the high level of construction we put into them. We stitch the edges with nylon thread to add strength, and to make sure the piece does not stretch during use. Metal roller buckles allow you to adjust the suspenders for a correct fit. Made by hand from full grain leather with a careful attention to detail. The strap width on this style is 1.125". We are very proud of this product, and we believe you will love wearing it. International shipping available at reasonable rates. Made for you from our workshop in Las Vegas, Nevada. A product of the United States.